If you’re like me, a fan of Bavarian products and shocked about finding out there was a BMW M3 pickup seen running around the Nurburgring you’re in for a heart attack. 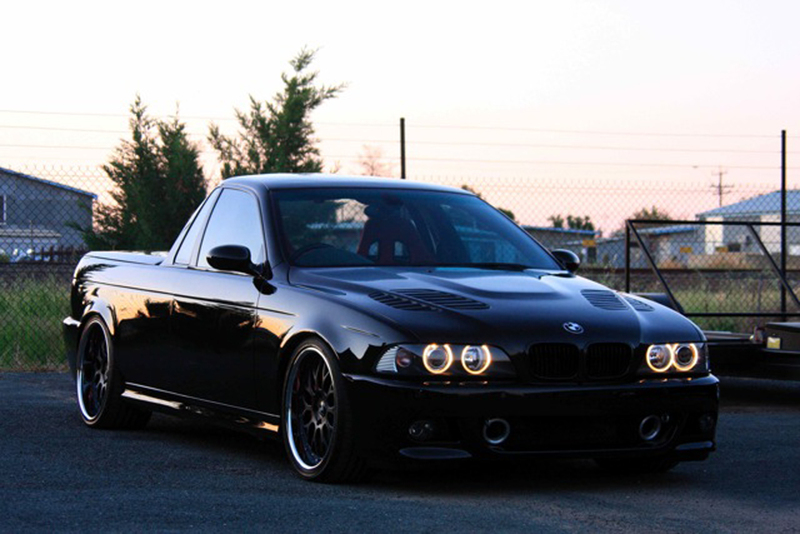 Apparently that wasn’t the first BMW M car ever turned into a hillbilly mobile pickup/ute because this is. It’s a E39 BMW M5 that belongs to one, Stuart Appleby who you may know as a PGA Tour golfer and I guess a pretty successful one. 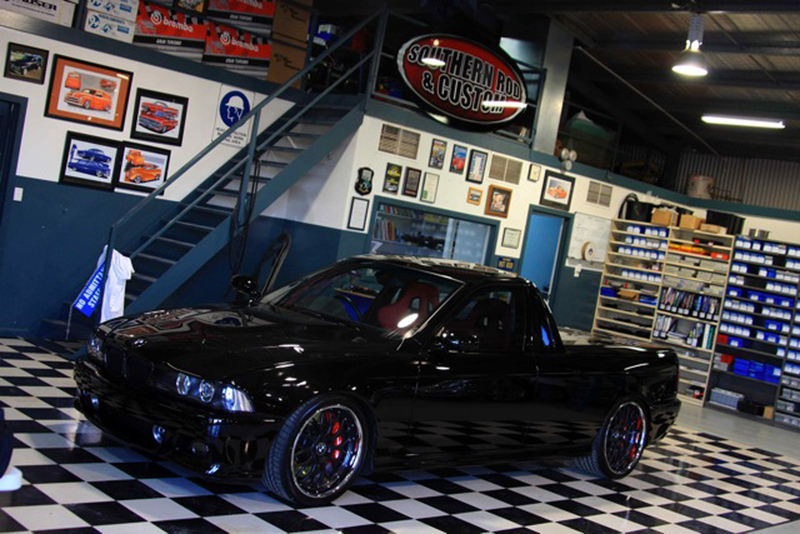 I think golf is one of the few things more boring than pickups but judging by the amount of work that must have gone into customizing this BMW M5 pickup. After just 4.500 miles of life the race-bred V8 engine was taken apart and updated to its current form. In Australian setup, the E39 BMW M5 develops some 460 horsepower, is lighter and seats just two in red racing buckets. I’m still shocked at the site of this BMW M5 Ute, but i suppose the updated suspension system, the new headers, exhaust and an ECU upgrade are substantial enough to set me up for the next line. Some of Australia’s BMW buyers are crazy and some Australian tuners are pretty capable at doing their job.